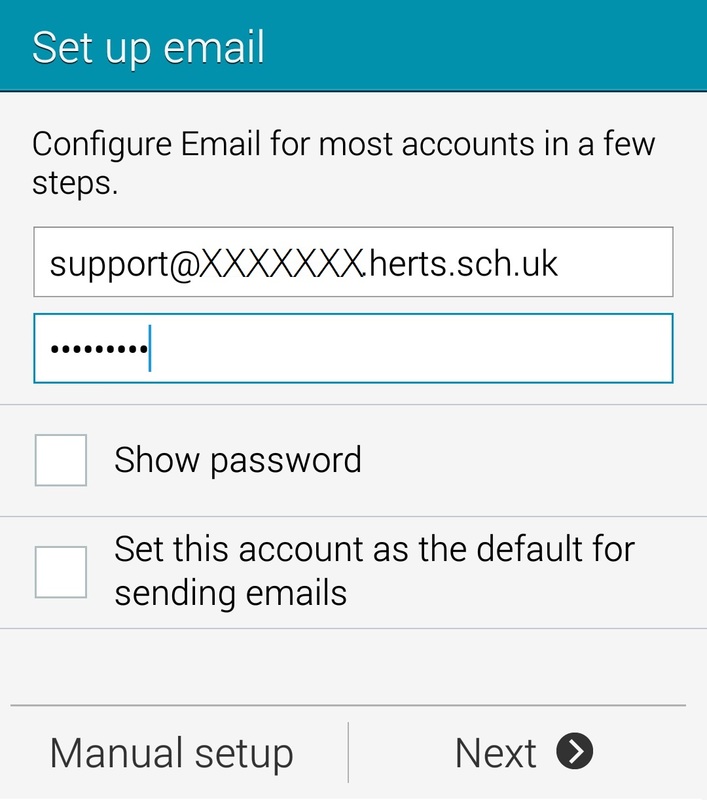 4) Next you will be presented with a list of various account types to setup. 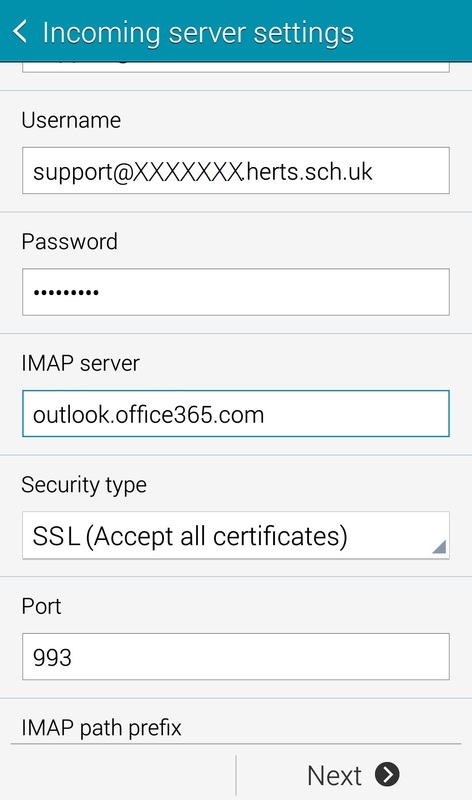 It’s a common assumption to select “Outlook.com” at this point, however, select “Email“. 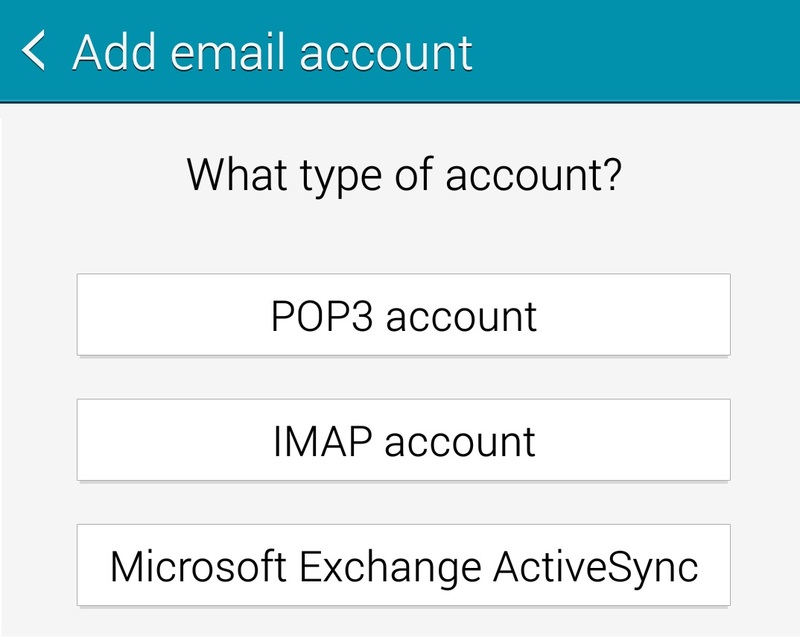 5) Now you can fill in some basic email credentials. Once these are filled in, tap “Manual setup” in the bottom left corner. 7) The next screen 2 screens require a little more information. The “Username” and “Password” fields should be filled in using your email credentials. Once completed, tap “Next” in the bottom right corner. 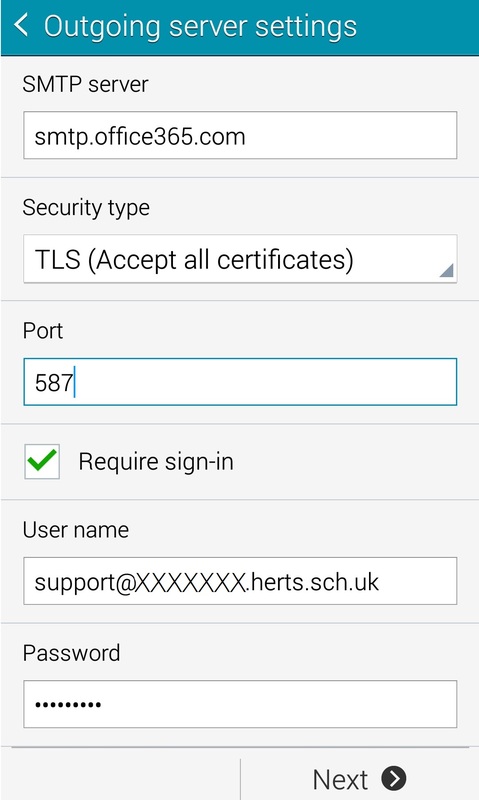 NOTE: If you get a “handshake failed” error after putting in the settings above, use the security type “STARTTLS” on the outgoing server settings, with port “587”. 8) If everything has been entered correctly, the account should get verified after a few seconds and you will be presented with the screen to select your desired sync interval and frequency. 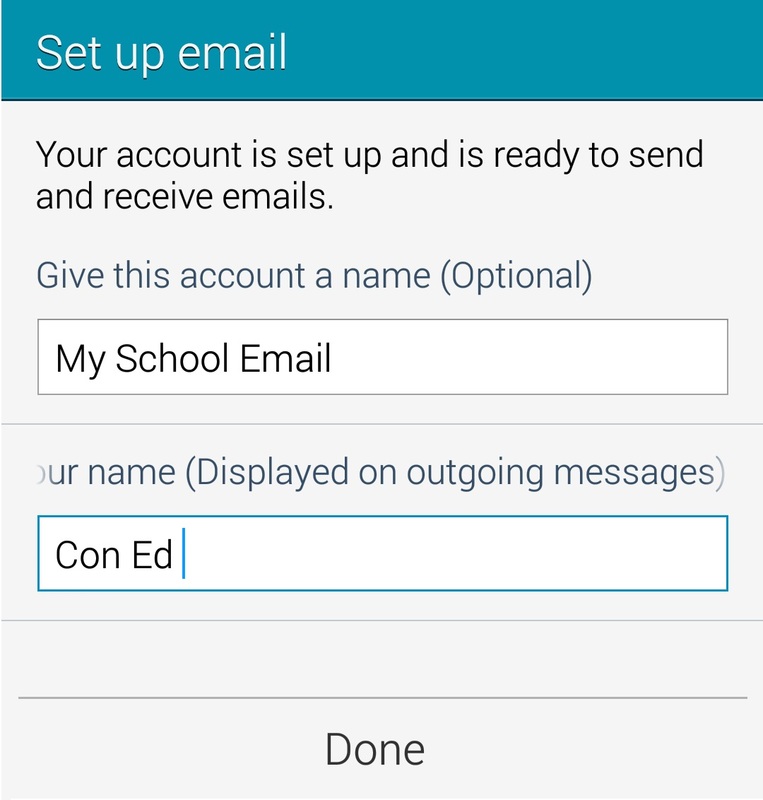 Tap “Next” and finally give your email account a suitable name such as “My school email” and the name you wish to be displayed for sent emails – Tap “Done” and now your Office365 email is setup on your Android device.